HIPS Policy Briefs are published by the Heritage Institute for Policy Studies and aim to provide high quality analysis and practical recommendations for policymakers on important development issues. Diaspora returnees are growing increasingly visible in Somalia. The degree to which the diaspora are able to reintegrate into Somali society will ultimately define their contribution to its development. 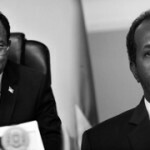 The rift between the two top officeholders in Somalia, and the subsequent removal of Prime Minister Abdi Farah Shirdon ‘Saa’id’, has dealt a serious blow to the credibility of the Federal Government of Somalia. The crisis in Kismaayo has the potential to undermine the government. It also threatens to bring the fragile nation back to the brink of civil war. Compromise is the only way out. The recent dialogue is an encouraging step toward reconciliation. Somaliland’s grievances must be addressed adequately. But Somaliland must realize that its quest to leave the union is untenable. On 3 March 2013 Prime Minister Abdi Farah Shirdon stood before parliament and presented his government’s accomplishments of its first hundred days. 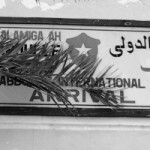 U.S. recognition of the government is a great opportunity that could contribute to Somalia’s effort to retake its place among the community of nations. Somalis need to understand what opportunities it avails, and what challenges are embedded with it.